Although he fell seven outs short of a no-hitter, Dylan Covey had plenty of positives on which to focus Wednesday night at Banner Island Ballpark. The A's prospect allowed one hit over seven scoreless innings, pitching Class A Advanced Stockton to a 5-2 triumph over visiting Bakersfield. Covey (3-4) held the Blaze hitless until Sean Buckley singled with two outs in the seventh. While he wasn't thinking about the no-hit bid, he knew exactly what it meant when the Blaze cleanup hitter hit a line drive to right field. "Following the fastball-changeup combo, [it was a] 2-2 count and we were going with a breaking ball that he lined for a hit. It was a good piece of hitting on his part and a mistake on my part," he said. "It was disappointing, but I can't dwell on it." Covey walked Minor League RBI leader Marquez Smith, then retired Juan Perez on a liner to second base on his final pitch of the night. "It was basically fastball and changeup [that were working], and they were really pounding my sinker into the ground," the 23-year-old right-hander said after striking out two and inducing 12 ground-ball outs. "I didn't have control of my breaking ball like did in my last start. I was just going out there trying to execute every pitch, one pitch at a time." While Covey threw six hitless innings, he issued a pair of walks and hit two batters when a couple of fastballs got away from him. "Before the game, the pitching coach [John Wasdin] and the catcher [Beau Taylor] said to pound these batters in. I didn't want to miss over the plate and let them get a hit, so those were the two hit-by-pitches," he explained. "The walks, I was getting deep into the counts and wasn't getting first-pitch strikes." Two more Blaze reached on a pair of errors by third baseman and A's third-ranked prospect Renato Nunez. But the Ports, who lead the California League with a .981 fielding percentage, turned three double plays behind their starter. "Two [double plays] were after hit-by-pitches and one was on an error," the University of San Diego product said. "It's pretty easy for a pitcher to pitch when he has a defense playing well behind him, so that was awesome." A's No. 16 prospect Michael Ynoa struck out the side in the eighth before Bobby Wahl gave up two runs on two hits in the ninth. Covey got plenty of run support as A's No. 2 prospect Matt Olson hit a two-run double and Marincov added a two-run single in the first. Ryon Healy, the organization's 18th-ranked prospect, padded the lead in the fourth with a leadoff homer, his 15th. 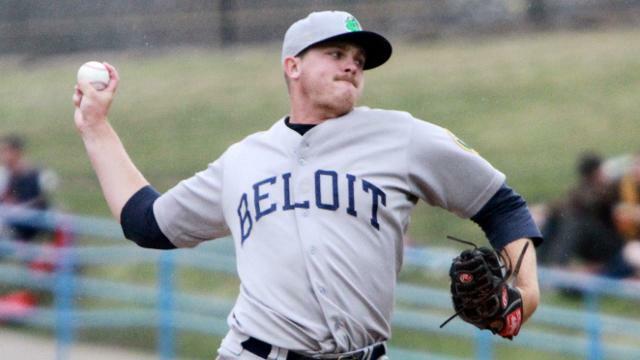 "This team, it's like every time I'm pitching they put two runs up in the first inning," said Covey, who started the season at Class A Beloit. "It's always nice as a pitcher to have run support. It makes it more relaxed, but it makes you stay focused because you can't slack off."